petitioning a court for relief in bankruptcy, petitioning the court to become a guardian or conservator of a loved one or filing a petition against a landlord for housing code violations before an administrative agency. Of course litigation involves defense counsel representing a person, business or some other entity in a legal matter where the defendant has been accused of some type of civil or criminal wrongdoing. Litigation can be expensive and time consuming. If you find yourself in a situation where you have to go into a legal forum, whether it is a court of law, administrative agency, arbitration or mediation, we would advise you to hire counsel from the very beginning and not to wait until the last minute to do so. Often aggressive negotiations, mediation and plea bargaining can avoid costly litigation in which the outcome is uncertain. ﻿In ﻿many cases, long before any type of legal action is taken against a person, the person of interest is often interviewed by his/her employer and law enforcement. This is the most important stage of a civil or criminal investigation. It doesn't matter if you are being accused of embezzlement and simply face the prospect of being fired or if your employer is actually going to pursue criminal prosecution, what you do and say from the moment you are notified that you are the target of an investigation can be crucial to a successful outcome in your case. It is important that you immediately retain aggressive legal representation to set the stage for any civil or criminal prosecution that may follow. As a former Fraud Examiner, Attorney Mitchell has experience in matters involving fraud. If you are accused of a white collar crime he has knowledge, skills and abilities that may persuade law enforcement that it is not in their best interest to pursue a case they can't prove beyond a reasonable doubt. .Transactional law refers to the practice of private law relating to money, business, and commerce. Areas of focus include providing legal aid to entrepreneurs through contract drafting, real estate acquisition, and intellectual property affairs. 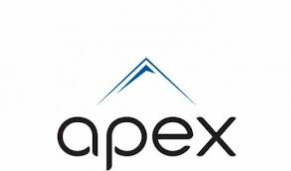 Creating businesses, dissolution of businesses, and government compliance matters are areas of focus at Apex. Transactional law differs from traditional litigation in that transactional law is generally geared toward resolving disputes out-of-court. ALEXANDRIA, VA—Nazanien Ebrahimi, a/k/a “Nancy” Ebrahimi, 32, of Fairfax County, Virginia, was indicted by a federal grand jury on February 26, 2015, on charges of wire fraud, health care fraud, aggravated identity theft, and making false statements relating to health care matters. Dana J. Boente, U.S. Attorney for the Eastern District of Virginia; and Andrew G. McCabe, Assistant Director in Charge of the FBI’s Washington Field Office, made the announcement after Ebrahimi’s initial appearance today in front of U.S. Magistrate Judge John F. Anderson. If convicted, Ebrahimi faces a maximum penalty of 20 years in prison on each wire fraud count, 10 years in prison on each health care fraud count, a mandatory two-year consecutive sentence for each of the aggravated identity theft counts, and five years in prison on each count of making a false claim regarding health care matters. The maximum statutory sentence is prescribed by Congress and is provided here for informational purposes, as the sentencing of the defendant will be determined by the court based on the advisory Sentencing Guidelines and other statutory factors. Criminal indictments are only charges and not evidence of guilt. A defendant is presumed to be innocent until and unless proven guilty. Attorney Andrellos Mitchell is representing one of the victims of the fraudulent scheme described above by the Federal Bureau of Investigation (FBI). UPDATE: (7/2017) - The Defendant was sentenced to prison and required to pay restitution to her victims. Attorney Mitchell has a General Law Practice (Civil & Criminal Matters). However, his practice focuses on Civil Litigation, Government Agencies, Bankruptcy, Employment Matters, Real Estate, Education, Personal Injury, Family Law (Divorce, Civil Protection Orders, Custody and Child Support) Automobile Accidents, Probate, Guardianship & Conservatorship matters, and Insurance Law (Litigate Insurance Coverage Disputes). Mr. Mitchell also handles Federal Law matters in the state of Maryland in the United States District Court for the District of Maryland, U.S. Bankruptcy Court for Maryland, and matters before federal agencies in the state of Maryland.